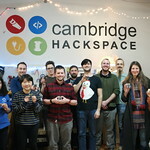 Cambridge Hackspace is a co-working space inside a makerspace. 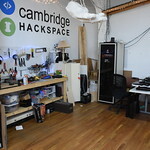 Our startups not only benefit from the maker community the space is built around, but also the workshop and extensive set of tools avaliable to them. 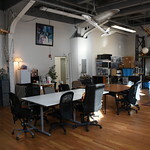 Because the cost of membership is so low ($75/person/month) compared to other co-working spaces, it makes it very appealing to many entrepreneurs.